The question of how to clean oil spills on concrete is truly a difficult one if you want to save the surface of the concrete from oil and stains. Cleaning an oil spill off of concrete used to be a tricky task due to the nature of both oil and concrete. “Concrete” is the general term used to describe different types of composite materials and is used in many residential and commercial applications due to its relatively low cost, availability, and lifespan. However when oil meets concrete, there are a few reactions that occur that would make cleaning it a hassle. First off, some forms of concrete depending on how they were laid, have irregular surfaces where oil could collect even when cleaning is attempted with absorbent pads or cloth. Second, while booms and other methods could be used to localize a spill, the oil that would sit upon the concrete would have a high chance to leave an unsightly stain, since most forms of concrete without additives are inherently white or gray. However, cleaning oil off of concrete doesn’t have to be an issue anymore with the oil clean up products by Oil Solutions International. See how easy it is to use Oil Solutions International’s products to clean oil spills on the surface of concrete. With just a simple application of Oil Solutions Oil Absorbent Powder or a combination of Step 1 & Step 2 Liquid, your oil spill can be totally cleaned without having to worry about any stains remaining. 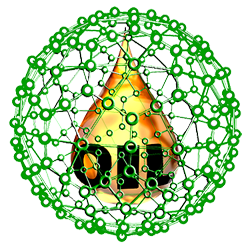 Our products will also eliminate the smell of oil, gasoline or any other hydrocarbon that happens to spill. You can find additional instructional videos on how to use our products on our video page. absorb the oil and leave a stain on your concrete surface, Oil Solutions products work on a molecular level to neutralize the spill. Our patented technology uses microencapsulation to completely surround the contaminants and convert them to an innate substance that can be cleaned up easily. It is this same process that helps to prevent the stains and odor oil often leaves behind and even that oil that would normally sit in the surface irregularities of concrete and cause discoloration are now contained in the silica matrix of Oil Solutions products. Stop and control the oil spill at the source first. Once the source of the oil spill has been controlled and the spill is localized, apply OS Step 1 Liquid generously to the area of the oil spill. Immediately apply OS Step 2 Liquid to the area where you applied OS Step 1 Liquid to maximize the encapsulating properties of the products. Using a broom or brush, spread the now combined OS Step 1 & Step 2 Liquid to the entire area of the spill to make sure all oil is treated. Let the area dry for one day. Come back and sweep up the area (which will have turned into a white silica powder). Because Oil Solutions Products are EPA Certified, dispose of the white powder in the garbage. Once the source of the oil spill has been controlled and the spill is localized, sprinkle OS Oil Absorbent Powder onto the entire affected area. After letting the OS Oil Absorbent Powder to sit on the for about a half a minute, scoop up the excess powder on top and place it back in the bag or container for future use. Using a scraper, broom or your hands, pick up the now oil infused OS Oil Absorbent Powder (which will now be a rubber compound) from the spill site. Because Oil Solutions Products are EPA Certified, dispose of the rubber compound in the garbage. It’s that simple! If you are interested in receiving more information about or acquiring the best products to clean up oil off of concrete, we invite you to contact us today at (631) 608-8889 or to fill out our contact form and someone from Oil Solutions International will get in touch with you as soon as possible.